SKIN CARE BY SANDRA HAS THE BEST SERVICES FOR YOU! Create your perfect spa experience by layering these treatments with any of our advanced facial services or enjoy one alone. Discover inner peace and balance while rejuvenating your skin with the most relaxing, stress releasing facial ever, using results driven Rhonda Allison skin care products customized to your skin’s unique needs, along with aromatherapy this pampering facial incoporates massage into every step. Facial muscles, neck, shoulder’s, hands and feet, allowing a way to escape for a brief time from the days chaos and at the same time giving skin a healthy dose of nutients , your skin will be hydrated and you will feel renewed. This is a great facial to help combat oily skin and troublesome breakouts. 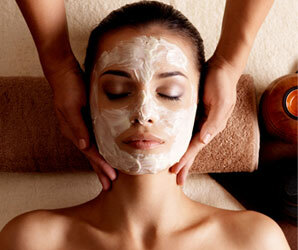 An invigorating and revitalizing skin care therapy to draw out impurities, congestion and nourish the face. 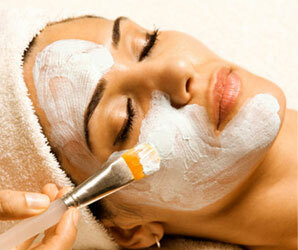 Followed by an Oxygen treatment this facial will be your new must have. 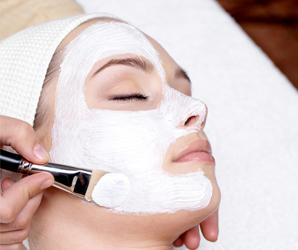 A cleansing and moisturizing facial to refresh. This treatment helps to calm inflammation and redness associated with Rosacea. Revitalized skin emerges when exfoliated and nourished. An enlivening scalp massage or foot therapy releases tention and concludes a fully restorative treatment. A treatment tailored to benefit the specific needs of pore- congested or blemished young adult skin. Gentle yet very effective deep cleansing,, focusing on breakouts, soothing and nourishing helping you look & feel great. Treat your back to the same indulgent skin care that leaves your face a glow. Deep skin cleansing and exfoliation scrub whisk impurities and ease tension in a through facial that softens, smoothes, removes all blackheads, A final application of quenching moisturizers , massage, and warm towels will leave your skin soft and silky. This facial offers men the ultimate treatment to rejuvenate skin. A cleanse, exfoliation and hydrating finish calm the face irritated by daily shaving and exposure to the elements. A soothing massage of the face and scalp brings the mind and spirit to a state of calm. Pumkin cleanser, pumpkin enzyme, pumkin rinse, pumpkin serum, milk mask, antioxidant serum. Jojoba shea butter cleanser, cherry jubilee enzyme, grape seed hydrating serum, natural lift mask, Therapy E serum, milk mask, blushed wine jel. Milk cleanser, cherry jubilee enzyme, antioxadant serum, grape seed hydrating serum, chocolate mask, blushed wine jel. For maximum lash tinting results, lashes need to be free from mascara for at least two hours before you arrive for your appointment. Please remove contact lenses. Unfortunately, we are unable to perform waxing services on clients using accutane, Retin-A, Renova, Microdermabrasion, Chemical Peels or Laser Treatments. 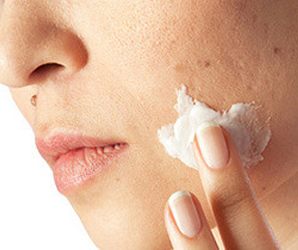 This treatment uses cellular abrasion blade designed for effective and safe exfoliation to clarify and remove dead surface skin cells, and also remove fine facial fuzz, this treatment increases cell turn over, collagen stimulation, increases absorbtion of active products, increases firmness and elasticity, leaving your skin feeling smooth and refreshed. A new innovative non-surgical aesthetic rejuvenation treatment with no down time for the appearance of fine lines, acne scars and the improvement of the skins texture, tone, and color. 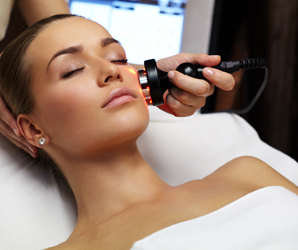 Microdermabrasion is a non-surgical procedure which rejuvenates the skin by improving superficial skin problems. Microdermabrasion involves a gentle exfoliation of the outer layer of skin using tiny particles which remove the surface layer of aged or damaged skin. Sea Salt Scrub is applied to exfoliate rough skin on Hands & Feet, followed with a moisurizing mask that revitalizes and relaxes sore, tired soles, your skin will feel smooth, soft, & silky. Focused Pressure is applied to trigger points on the hands & Feet to improve one’s general health and encourage benefitted effects to all body parts. We customize each treatment focusing on your specific concerns.If you are scheduling a skin rejuvenation peel we require a consultation, a post care kit for home use will need to be purchased at an additional fee so that you will achieve the best results possible. 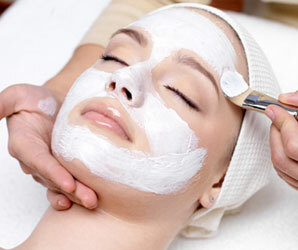 This treatment can be done 1 week following most peels. This will leave skin soft and lift away any skin that has not peeled, nourish and rebuilds healthier skin with antioxidants and nutrients, and providing healing topicals for continued strength regeneration. Includes your choice: Microderm or dermaplaning.